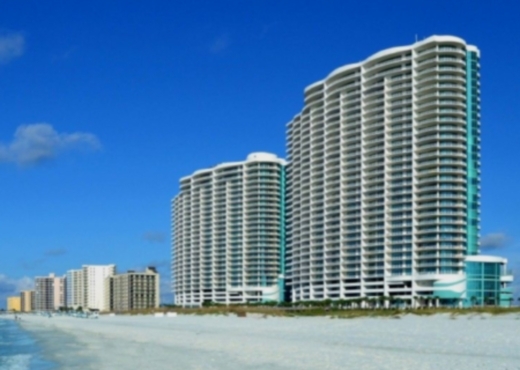 Property Details: 3 Bedroom, 3.5 Bath Luxury Beach Condo with approx. 2300 sq. 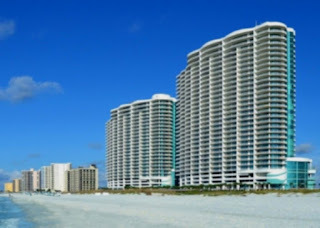 ft.
Turquoise Place Resort luxury beach front home for sale in Orange Beach AL. This resort home is located on 900′ stretch of sugar-white beaches, overlooking the emerald waters of the Gulf of Mexico, the condominium features a hot-tubs and gas grills on the private balcony, 10′ ceilings, tile flooring in the living-room, Subzero/Wolf appliances, wine cooler & ice maker, solid-surface granite counter-tops, a gas fireplace & HDTV in the living-room. The common amenities at the complex includes covered parking, air-conditioned entry hallways, salt-water indoor & outdoor pools, a lazy river & hot tubs, a kids playground, sauna & steam rooms, an exercise facility, tennis courts & more!